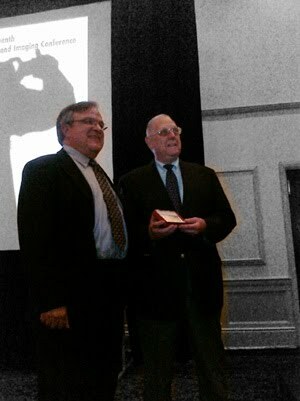 The 18th IS&T/SID Color and Imaging Conference is over. 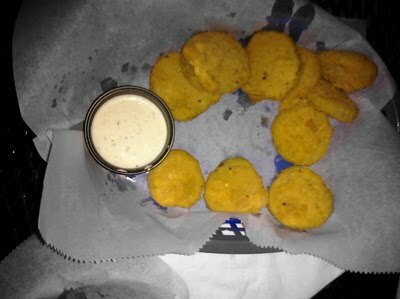 This year the conference was in San Antonio, Texas where I learned more about fried pickles, among other things. The CIE Division 8 had an unofficial meeting. Notes from the meeting will be posted to the Division 8 web site shortly. Also Dimitris Mylonas of colornaming.net gave an excellent presentation on his online color naming model. Here we are celebrating a 0.99 r-squared correlation of the top 27 hues for our two different web-based color naming experiments. 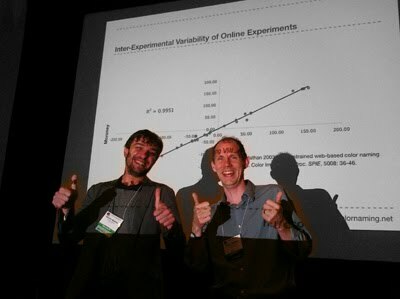 We look happy because there currently aren't any laboratory color naming experiments that match (or exceed) our correlation. 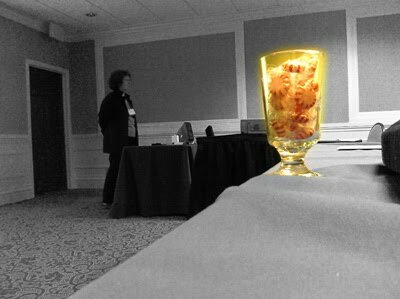 There was also an evening session entitled "A Glass Bead Game: A Talk about Holography and Culture" by Mark Holzbach of Zebra Imaging. There were some samples on display and given the challenge of conveying 3D with a single photo the following video gives some sense of the quality of these prints. There was then a Beer & Apps session, including a video clip of Steve Jobs introducing the HDR functionality built into iPhone 4 with iOS 4.1. Overall a busy and productive Color and Imaging Conference. it was the strongest conference that I've been so far with excellent workshops, oral/poster presentations and networking opportunities.